Is WiiConnect24 breaking your Nintendo Wii? Nintendo Wii gamers are reporting that the always-on WiiConnect24 internet connection is overheating and damaging their games consoles. Keen gamers are discussing the problems in video games forums, saying that when they leave their Wiis on for long periods with WiiConnect24 switched on, their consoles have broken. Although the console only consumes a very tiny amount of power when in this standby internet mode, the console can still get pretty hot. Often, it's a lot hotter than when it's being used because the internal fan is switched off in standby mode. Web chatter is speculating that this excessive heat is frying the Wii console's internal CPU, resulting in it becoming defective. Nintendo told our sister games site CVG : "We've had no reports in the UK of anything like this happening," and advises users to contact the Nintendo Service Centre for further advice on 0870 60 60247 should a fault occur. 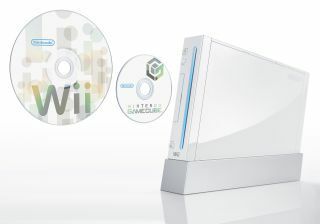 Worried Wii gamers can deactivate the WiiConnect24 feature in the console's menu.